Named for our famous attraction, Sea Breeze, in Rochester, NY! 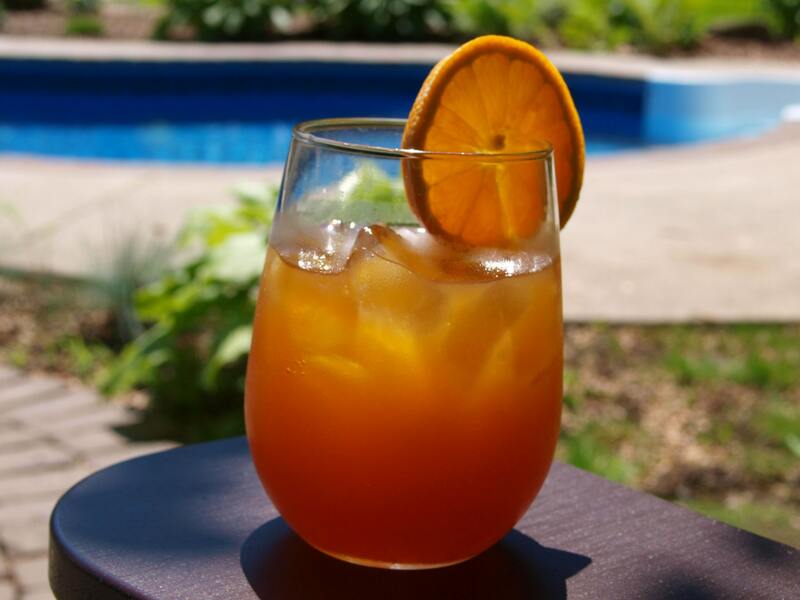 Wait until you try this fruity, refreshing gourmet iced tea. This first day I made this, I drank the whole batch in one day! It's easy to prepare, incased in a large 4x5 teabag, and the results are so satisfying. Try some today! Try All of My Iced Tea Blends! AMBROSIA ICED TEA BLEND- Apricot Tea, Black Currant Tea, Mango Tea, Rose Hips, Orange Peel and Cinnamon Chips. APRICOT ICED TEA BLEND- Black Tea, Calendula Petals and Apricot Flavoring. BLACK CURRANT ICED TEA BLEND-natural black currant flavoring and currant leaves. HERB GARDEN ICED TEA BLEND- Green tea, Rose Hips, Lemon Grass, Hibiscus, Peppermint, Orange Peel and Elderberries. PASSION PEACH ICED TEA BLEND- Black tea, Orange Flowers, Bee Pollen, Elderberries, Red Sandalwood, Peach Flavor, Passion fruit Flavor, Tropical Flavor. Tastes fabulous! Will buy again. Can't wait to try all the flavors.